If you have ever faced a move with your family, you know how they can cause your children worries and concerns. Gooby shares the story of one family’s move and an 11-year old boy named Willy. When Willy arrives at his new home and is lonely, he wishes for someone to save him and his teddy bear, Gooby, comes to life. Gooby is a companion who at first is frightened of much in the human world but, after some adventures with Willy, winds up bringing the boy and father together. 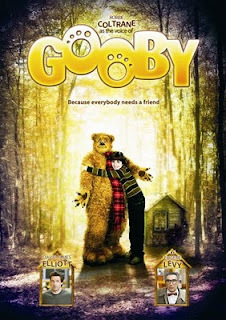 Gooby is a Canadian film that was produced in 2009 by Coneybeare Stories. It features the voice of Robbie Coltrane, who played Rubeus Hagrid in Harry Potter. Willy is played by Matthew Knight, a young Canadian actor who can also be seen in the popular Good Witch Hallmark movie series. 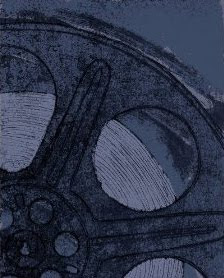 Knight won a Young Artist Award for Best Performance in a DVD Film for his role in Gooby. Rounding out the cast are David James Elliott as the father, Ingrid Kavelaars as the mother and Eugene Levy as the nerdy teacher. In terms of who should watch Gooby, it is rated PG for some mild rude humor and bullying and it contains bathroom humour, which seems to crop up in these family movies and which your children will love. It is essentially a clean and simple family movie that shares smiles and lessons about growing up. My son who had a prized teddy bear and endured a few military movies would have liked this movie when he was younger. If you watch this with your children expecting a nice story and not a blockbuster movie, you might be surprised. A good choice for a family movie, one you might choose to rent rather than own. Buy or rent Gooby from Amazon.